Before descending on a large remodeling project, you should take a look at what the project will cost you. But, don’t look at it as just the financial cost — you must look at it from the time, stress, and effort cost. Remodeling a home (even just a room) can require much more work than you might assume. Because of the toll it can take, it is important that you look at your project as a whole before you begin. The best course of action is to sit with your spouse and first discuss the financial cost of the project. You and your partner can discuss how much the project will cost and what you would like the new remodel to look like. This process can take quite a bit of time so there is no need to rush. 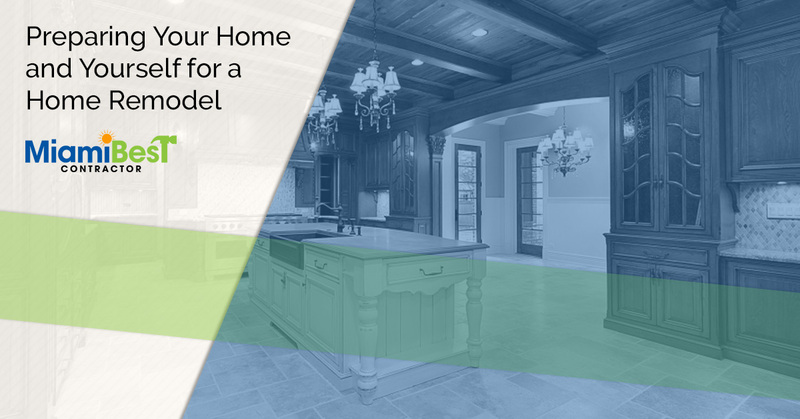 Once you agree on what you would like the remodel to look like, and have agreed on a maximum amount of money to spend, you will need to talk to your family about the remodel. When constructing or deconstructing a home, it can be distracting for a family. For one, depending on the level of remodeling, your family might have to leave your home for a short period of time. This can be stressful for your family, as any displacement can leave them confused or upset. Before you begin your building process, it is best to check in with your family and make sure that the remodel is a good idea. You will also have to mention the build to your neighbors as well. Remodeling any room can be noisy. Say, you would like a wall knocked down to make your layout more open. Well, while knocking the wall down, you can make a lot of noise that can be considered a nuisance to your neighbors. Though your neighbors can’t stop you from remodeling your home, having courtesy about it can go a long way when it comes to your community. That is why it is best to go door-to-door and explain what is happening to your home and how long it will take. You may even want to supply some ear plugs to your neighbors as a sign of compassion. Either way, make sure that this remodel won’t create ‘bad blood’ between you and the people in your neighborhood. Depending on the level of your remodel, you may need to find another place to stay. For example, if you have a one-bathroom home and are trying to do a bathroom remodel, you may need to find another place to stay while it is being completed. A typical building timeline is about eight weeks. If you are needing a place to stay for that long perhaps going on your dream vacation is a good idea. However, if you remodel has cost a little more than expected, you can always stay in a motel or camp out in the backyard. That’s right. What a better place to teach your children valuable camping skills than in the comfort of your backyard. There, you can teach your children how to pitch a tent, how to determine edible plants, how to roast marshmallows, and learn about fire safety. Ultimately, you could be able to teach your children a lot of valuable skills, while still keeping them in a controlled environment. Being able to camp, even if it is in your neighborhood, can be a huge benefit to your kids because it can teach them to value their surroundings much more. When you live in the confines of a home, it is easy to take it for granted. By camping in your backyard, your children can get a new appreciation for things, such as electricity, running water, and their own bed. If you are planning a major remodel, you will need to clear all delicate items and pack them in a box. For instance, any china, glassware, or priceless items need to be packed and stored somewhere safe. Though contractors are careful with your home project, they could accidentally knock over any of your items. If you would like to keep your items unbroken, it is best to pack them up and place them somewhere that there will be little to no foot traffic. Storage units are often useful in these types of situations, especially if your attic or basement is getting any work done. You will never want to leave your precious items lying around so keeping them in a locked storage unit can be advantageous. When packing your items keep in mind that you will need to find a plastic bin to put them in. Though cardboard boxes are a classic choice, if they become too heavy they can tear. This is, obviously, the worst-case scenario if you are trying to pack fragile items. So, use a plastic bin and make sure you individually wrap each piece. Even if you are storing the items for only a short while, if the items are able to come in contact with each other, they could scratch or tarnish the surfaces of other objects. Home remodeling projects can be a risk. If you try to fix up an area, only to make it worse, you may not get the return you were hoping for. Also, while you are away and the home is obviously going through a remodel, strangers can take advantage of you. For one, while you are away, a thief can easily break into your home and take whatever is in the house at that time. Because of this, you want to make sure that while you are completing a remodeling project, you have all your precious items stored safely and out of reach from strangers. Investing in a safe could be a great option for you, especially because it will keep strangers away from your priceless items. At Miami Best Contractor, we are devoted to giving you the very best in general contracting services. Whether you are looking for a kitchen remodel to an extensive housing remodel, we can help! We are a trustworthy Miami, FL contracting business that is dedicated to completing your home project in a fast and orderly fashion. We know that you and your family put a lot of work into your remodeling projects. Packing items and living away from your home for eight weeks is not ideal, which is why we work hard to make sure your home remodeling projects are done on time. Contact our business today and learn more about what we can do for you and your home.